Mr. West Coast Olympus Leather 2014 Dave Faunce was born in Los Angeles, this created a kindred spirit and unique connection to the City of Angeles. 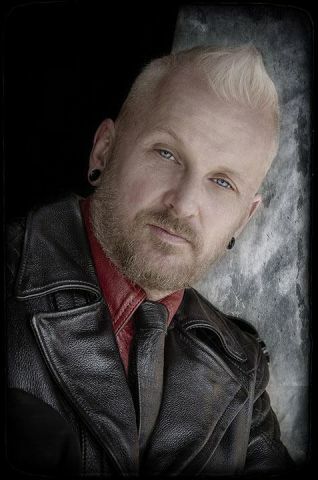 Dave was Mr. Bullet Leather 2012 and utilized his title for fundraising and charity work for his fellow brothers and community as well as just to party and have fun. Dave brought and continues to bring the raw and nasty elements back into the LA scene and events. Mina de Sade Fatale, 1st runner up, Int'l Olympus Leather at 2008 Pantheon, Chicago, Il. Ms. Mina de Sade Fatale, 2008 Ms. West Coast Olympus Leather Titleholder competed in this years International Olympus Leather Competition held during the 2008 Pantheon of Leather in Chicago, Il. Coming in first runner up to Mistress Sabrae Michaels of Alabama. This was an amazing showing for Mina as it was her first international competition. Mina continues her educational and travel schedule throughout the US, making appearences at Long Beach and Los Angeles Pride festivals as well as teaching medical play safety at Dungeon Servitus in San Diego, CA. Mina Fatale will be at DomCon Atlanta, along with International Olympus Leather 2008 Mr and Ms Title holders Andrew Love and Mistress Sabrae.